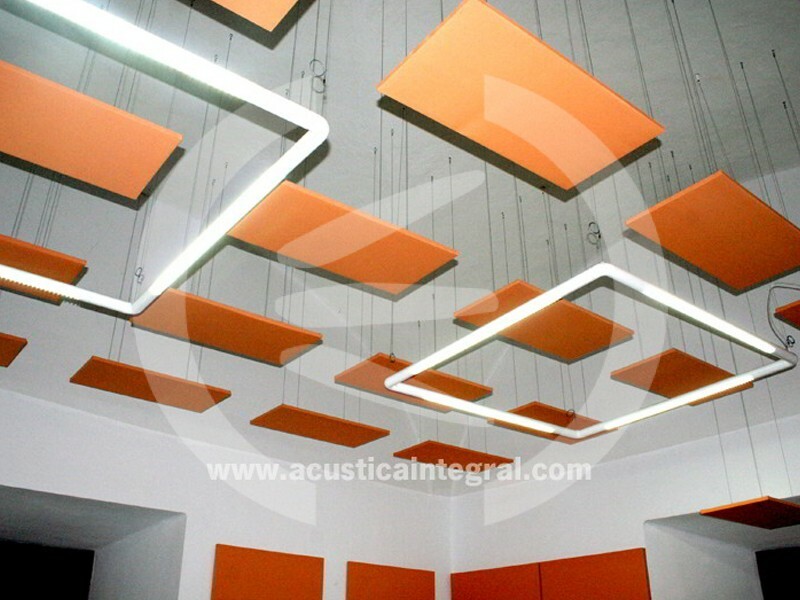 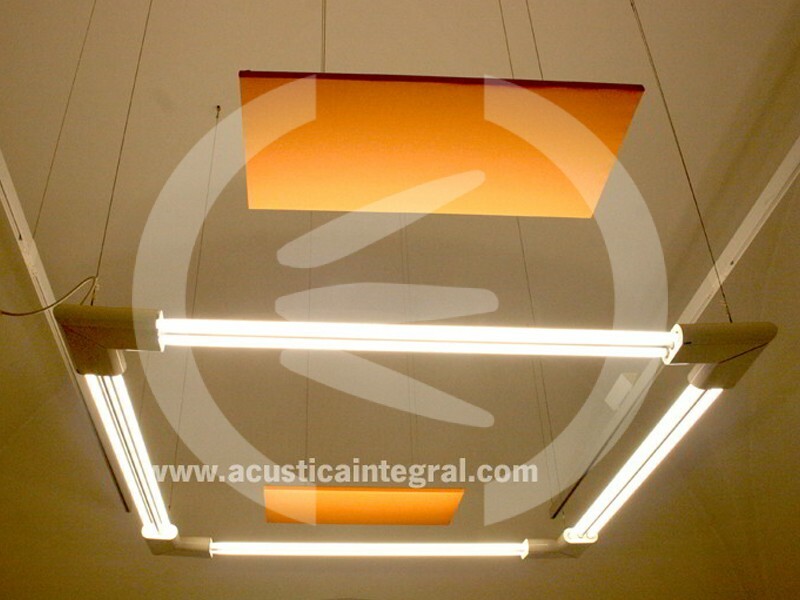 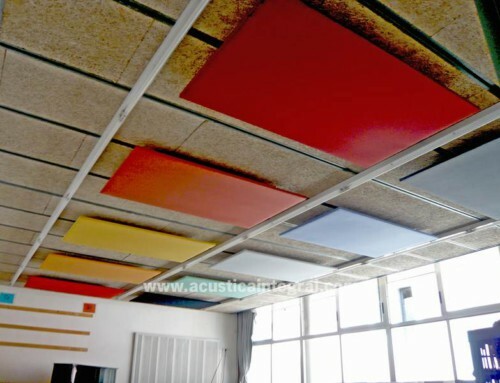 Project: Acoustic conditioning in classrooms and offices. 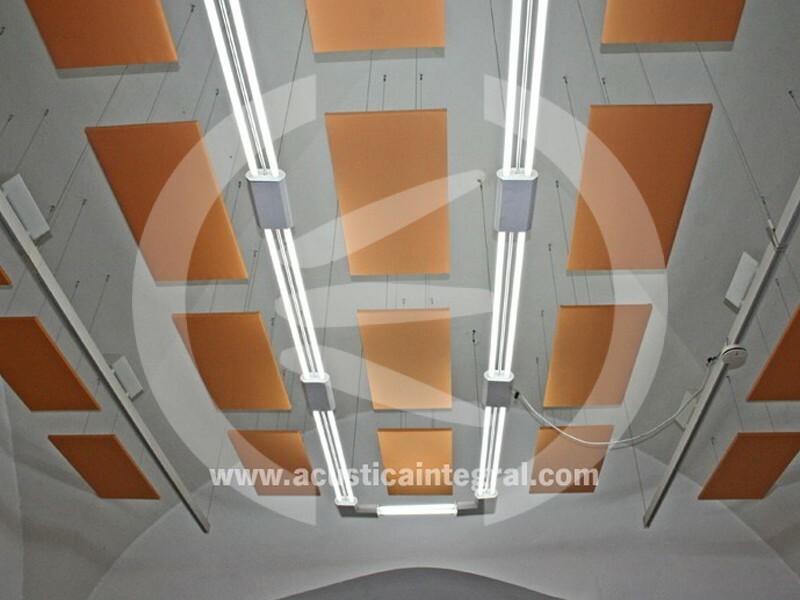 Finishing in the standard fabrics. 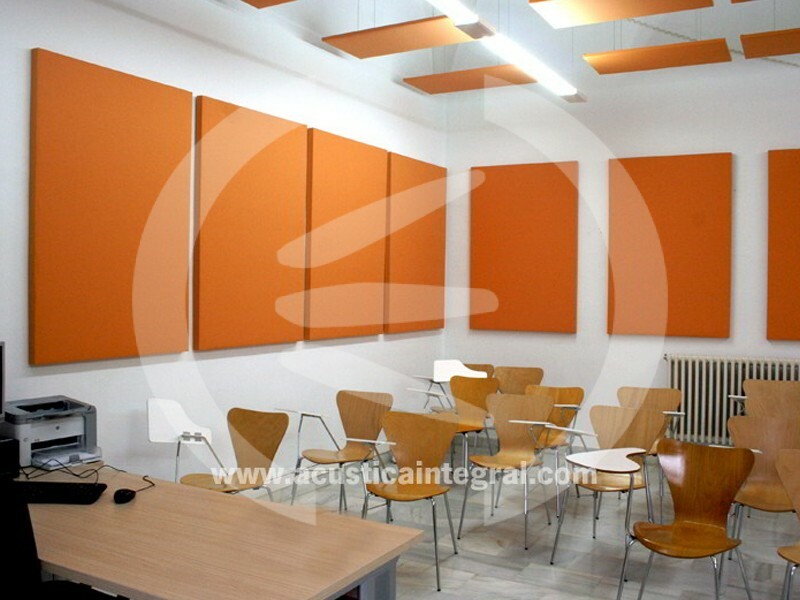 We meet training classrooms for performing arts and offices. 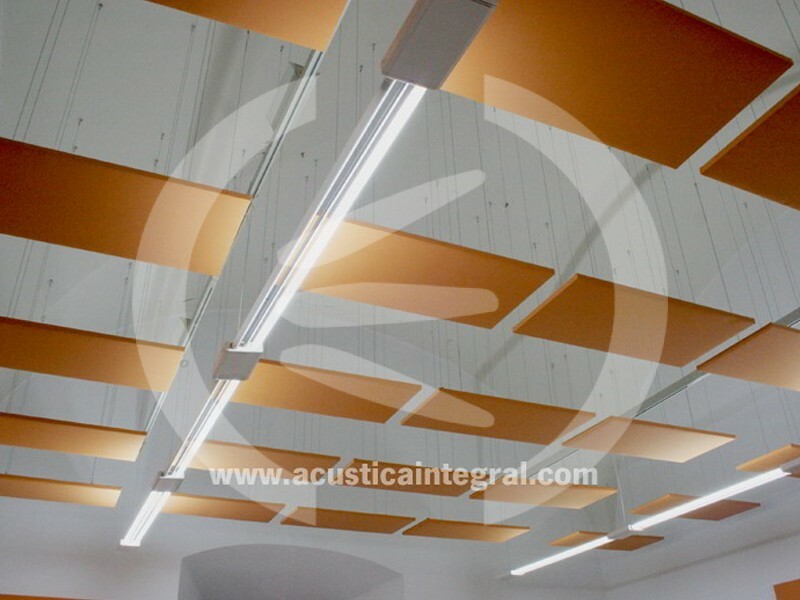 Due to the architectural characteristics and volume enclosures reverberation times exceed the recommended values. 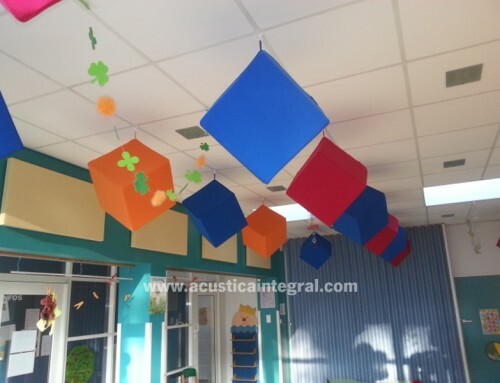 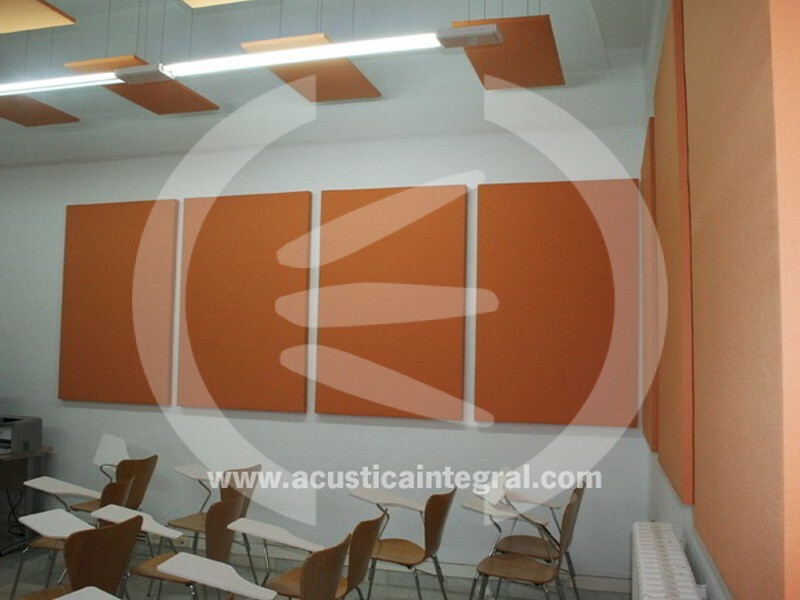 After analyzing the reverberation time of the classrooms and offices are set absorbent acoustic treatments on walls and ceilings Acustiart elements. 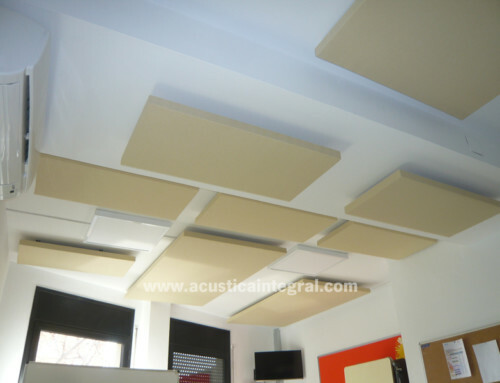 Complementing Screens Acoustic MA50 are installed. 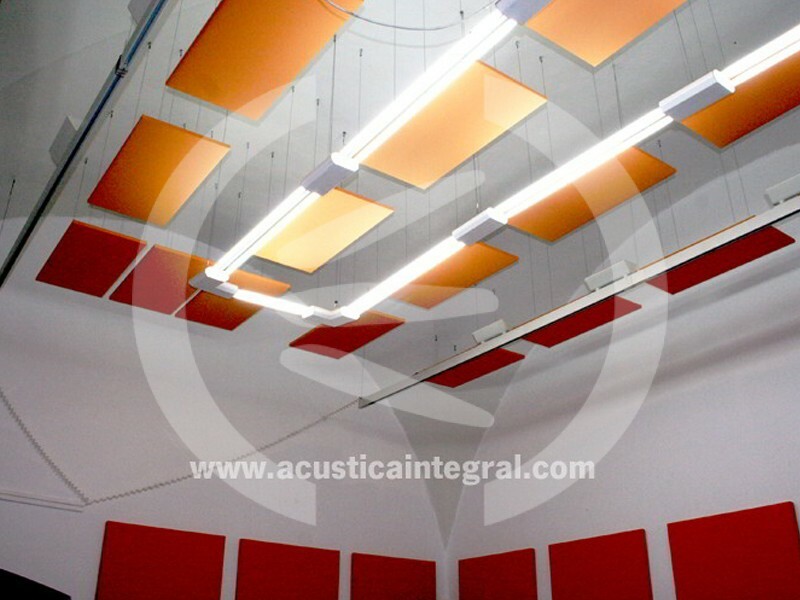 Both the screens and the absorbent elements in customer could choose the finish within the range of standard fabrics.